At some point in 2018, we can expect to see a live-action Teen Titans on Warner Bros’ brand-new digital streaming service. 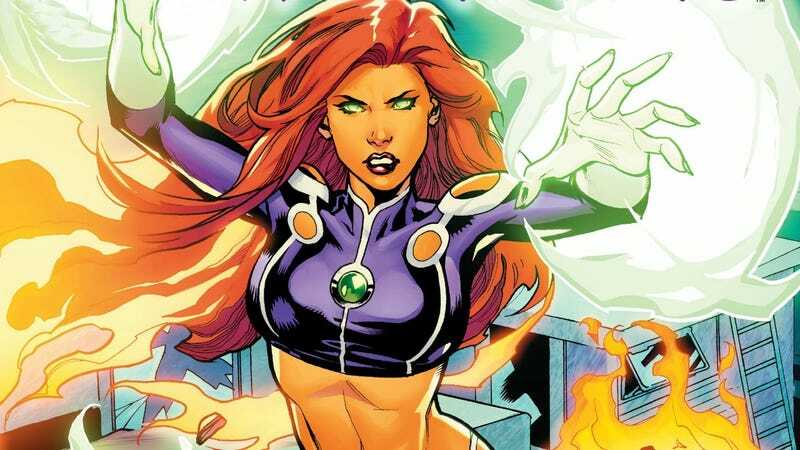 Tonight, we learned who’ll be playing the show’s incarnation of Starfire and the news of her casting has an importance that can’t be understated. Deadline reports that 24: Legacy’s Anna Diop has been cast as Starfire. She’s listed as a series regular (obviously) and described as a refugee alien princess who first encounters the Titans while seeking asylum from her home planet on Earth. While this origin for Starfire maps pretty well onto her background for the comic books, it’s incredibly important to note that Diop, a black actress, will be playing one of the most iconic members of the Titans whose helped turn them into one of DC’s flagship teams. Across multiple media including comics, television shows, and video games, Starfire’s been one of the lynchpins of the Titans brand, particularly as characters like Robin and Cyborg have been pulled away to bolster other DC properties. Starfire’s presence in the Teen Titans animated series and the DC Superhero Girls franchise has made her one of DC’s most highly visible and easily recognizable female characters for the company, and the significance of Diop’s casting is multi-tiered. Much in the same way that Zazie Beetz’s initial casting and subsequent updated look for Fox’s Deadpool 2 was a major score for the diversification of superhero media, the way that the new Teen Titans series decides to depict Starfire could be a very big deal. The show could decide to have Diop undergo full body paint in order to achieve Starfire’s canonical Tamaranean look. Alternatively, her look could be much more oriented towards Diop’s natural looks, which would be a major shift in the way that Starfire’s represented on screen. 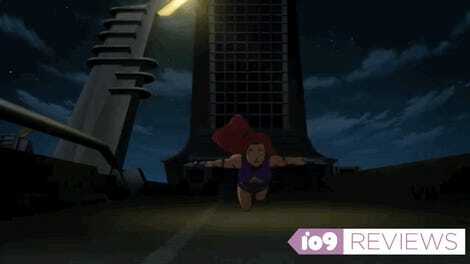 Though Starfire’s a fictional character, that doesn’t mean that the actor who portrays her on screen won’t influence the way that audiences conceptualize her. Gamora may be a green space assassin with pink highlights, but you’re always keenly aware that Zoe Saldana is a woman of color bringing her to life. It’s that kind of representation that makes casting non-white actors to play characters like these such a big deal. In Starfire’s case, given the budget constraints of most digital-only shows, it could make a lot more sense to forego the orange skin in favor of a more manageable special effect to evoke her Tamaranean powers. We’ll no doubt see which direction the new Teen Titans decides to go in in the months leading up to the show’s premiere next year.